Chris Fischer fell in love with the ocean as a young boy, fishing from a 16-foot trihull in Florida. That bond with the sea has done nothing but strengthen over the years, and today the 41-year-old marine conservationist has orchestrated an unprecedented study of the great white shark. 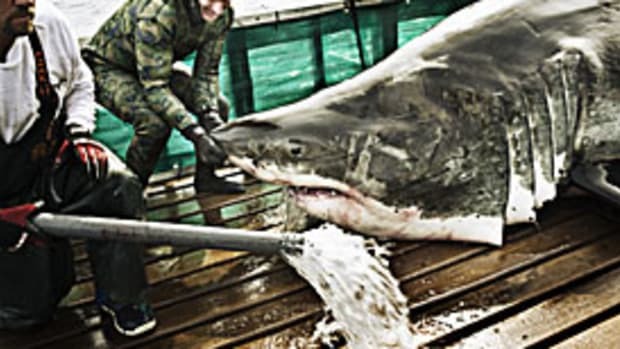 Aboard Fischer&apos;s research vessel - a 126-foot former Bering Sea crab boat - a team of world-class anglers and scientists have teamed up to catch and release 23 great white sharks. They attach tracking devices to the dorsal fins, draw blood to determine "reproductive readiness," and measure the animal. "There are theories about where they go and what they do, but there&apos;s no scientific data because no one has been able to handle them," says Fischer, a native of Kentucky who summered in Marco Island, Fla. "We have figured out exactly where and when these great white sharks breed. We&apos;re rewriting all the textbooks in the world right now - all the museums, all the science institutes, all the aquariums. They don&apos;t know it, but they got it wrong - and that&apos;s what you&apos;ll find out [this] summer." Viewers will also witness how Fischer&apos;s crew catches these massive fish. 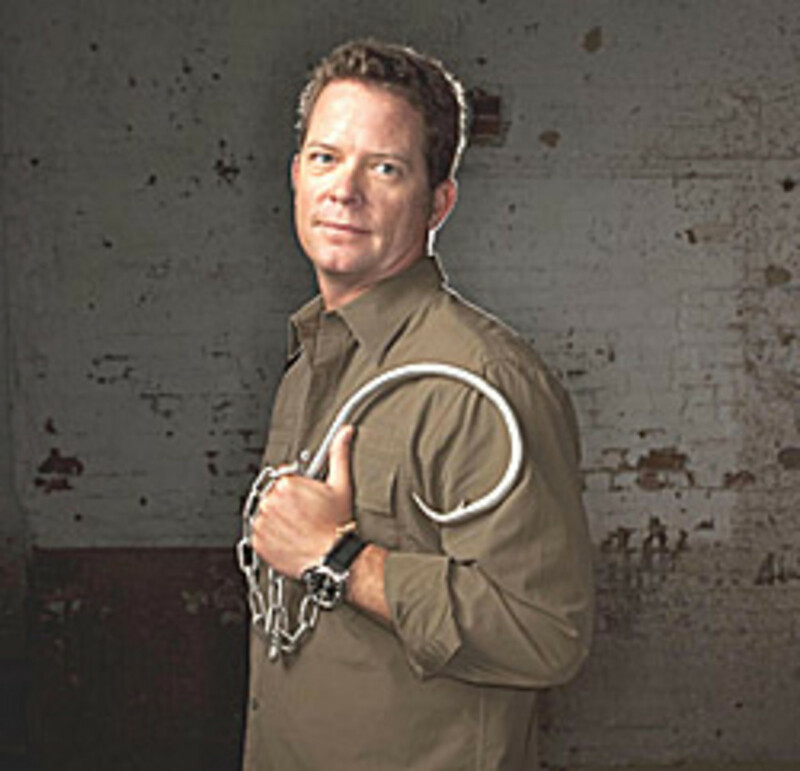 A chain-and-cable line is attached to a circle hook the size of a dinner plate and baited with a hunk of meat. 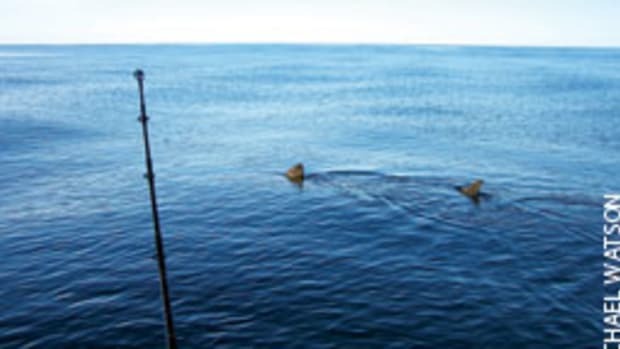 Once hooked, four flotation buoys attached to the line help the anglers wear out the shark so they can guide the fish - still in the water - back to the mother ship. "It&apos;s just like &apos;Jaws,&apos; " says Fischer, whose first offshore boat, a Bertram 31, drew out his passion for the sea and parlayed it into a television career. "The shark rips away from the ship. We jump in [a smaller boat] and start chasing the balls." The research vessel has a custom lift with a 75,000-pound capacity. 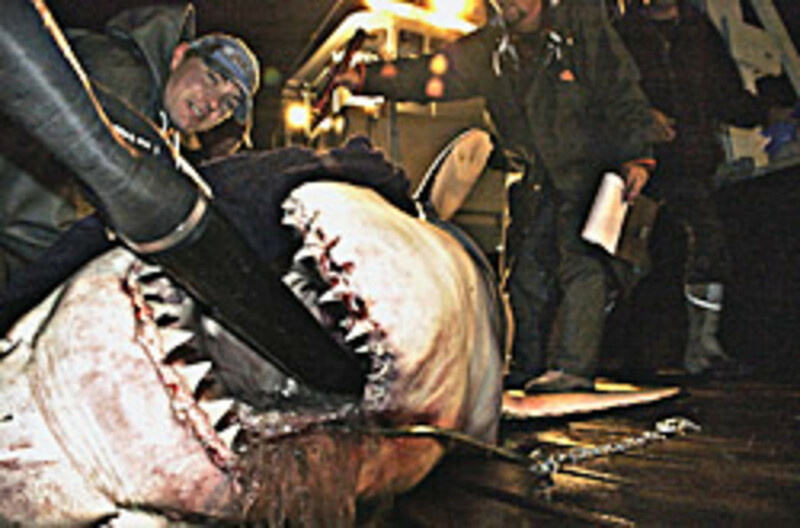 This allows the team to scoop up the shark on a platform and raise it out of the water. The crew sticks a hose in the shark&apos;s mouth and pumps hundreds of gallons of water each minute into its mouth to keep it breathing. The shark&apos;s own weight when out of the water prevents it from moving on the platform. The entire exercise takes less than 20 minutes. With the tracking devices, scientists have found out where the sharks breed, says Fischer. "If we know where they breed, we can then put a management plan in place so our children and our children&apos;s children get to enjoy a robust ocean that has a healthy level of great white sharks," says Fischer, a board member of the Billfish Foundation, an ocean conservation group. "When we solve these puzzles, we can put a plan in place so we know we can look after the white shark." Read the full report in an upcoming edition of Soundings magazine.